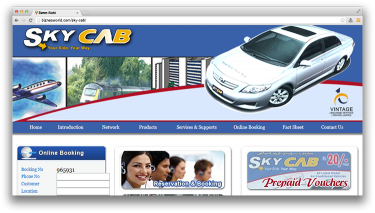 Description SKY CAB, Airport Transportation Service, Automobile Renting, Radio Cab. Address Parking Area, Near Plat Form No. 7 & 8, Cantt Station, Karachi.